Bernardino Buruca, 89, died Thursday, August 16, 2018 at his home in Garden City, Kansas. He was born June 2, 1929 the son of Pilar & Reymunda Buruca in Joroco, El Salvador. Mr. Buruca was born and raised in El Salvador. 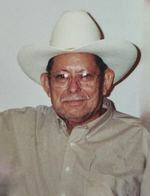 He married Gumercinda Cruz in 1958 in El Salvador. She died November 23, 2010. He was a farmer and grew different crops in El Salvador before coming to the United States in 1997 with his family. He was a member of St. Mary Catholic Church. Survivors include his Children-Ramiro Buruca of Woodstock, Virginia; Bernardina Benitez of Garden City; Jose V. Cruz of Panama City, Florida; Vicente Buruca Cruz of Queens, New York; Gumercinda Ventura of Woodstock, Virginia; Luz I. Reyes of Garden City; Balmore Cruz of Rogersville, Tennessee; Noel A. Buruca of Woodstock, Virginia; Rommel I. Buruca Cruz of Garden City; 1 Sister, Concepcion Buruca of El Salvador; 25 grandchildren and 13 great grandchildren. In addition to his wife he is preceded in death by his parents & siblings- Santos Buruca, Jose Seledonio Buruca, Regina Buruca & Beatriz Buruca. Visitation will be 3:00 – 8:00 pm, Saturday August 18, 2018 on & 12:00- 5:00 pm Sunday August 19, 2018 at Garnand Funeral Home. Rosary will be Sunday August 19, 2018 at 7:00 pm on at St. Mary Catholic Church. Funeral Mass will be 11:00 am on Monday August 20, 2018also at St. Mary Catholic Church. Burial will follow at Valley View Cemetery. Family suggest memorials to St. Mary Catholic Church in care of Garnand Funeral Home.